Vintage photo of the Darling House. 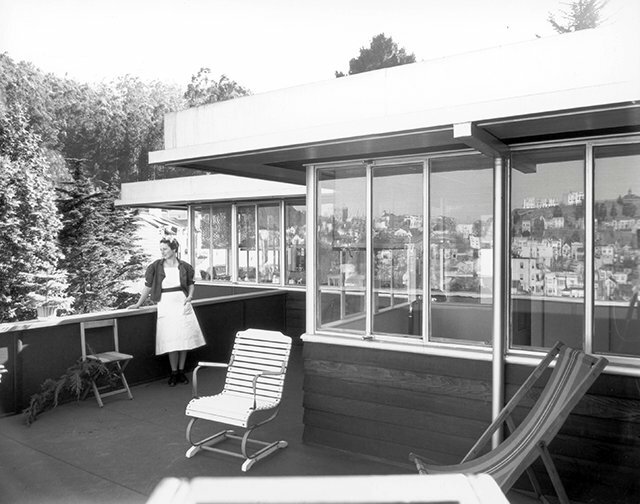 One of the last four Richard Neutra-designed homes left in San Francisco is on the market for the first time in decades at $2.2 million, possibly with its architectural integrity at stake. 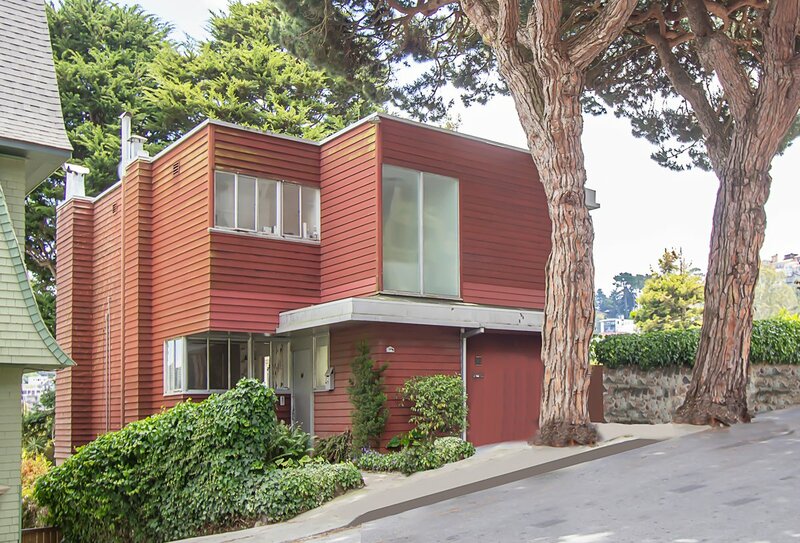 Less than a year after the Neutra-designed Largent House on Twin Peaks was illegally demolished overnight, the home he designed and built in Parnassus Heights for a Dr. H.H. Darling hit the multiple listing service in late July. "The original architecture and design of the home has been untouched, making it extremely special," said Mary Edwards, listing agent for Coldwell Banker, in an email interview. "The history of San Francisco is truly celebrated in this space because of its historical significance and stunning views of the city, which envelopes the home." The Darling House, a 1937 home at 90 Woodland Avenue, has three beds, 1,5 baths over 1,964 feet that also includes a garage-converted den. The precedent of that change, reportedly made a half-century ago by the second owners, hints at the vulnerability of the master's design as the house hits the market. 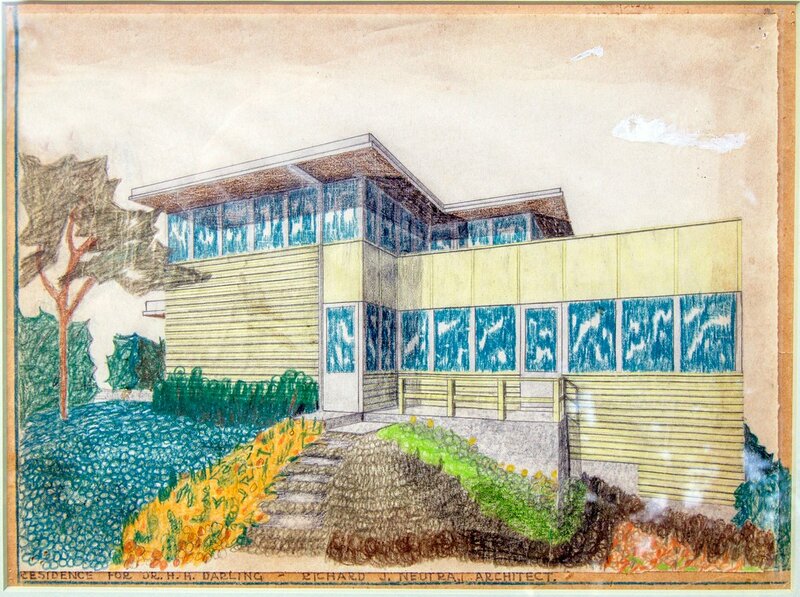 That spectre of design ruination looms even larger in the wake of the demolition of the Largent House and three ‘biorealist' buildings Neutra designed at Orange Coast College in Costa Mesa that are being demolished this year. The Austrian born-architect worked much more in his transplanted home of Los Angeles and, in late career, Europe than he ever did in the Bay Area. Edwards relayed a message in late July from the architect's son and former partner, Dion Neutra, to "work with any appreciative buyer who was cognoscente of this rare opportunity to rescue and restore an architectural icon like this."